Home » engine » Why Does My Car Fan Keep Running? Have you noticed that your radiator fans just run all the time and never shut off? Do they even run when you shut the car’s engine off? If so, there may some issues with your car that you should take care of to prevent any further problems in the near or distant future. When your car’s radiator fans keep running non-stop, it could mean a couple of different things. This article will assist you in trying to determine what those things might actually be, but only a certified mechanic can give you a definite diagnosis of the issue. 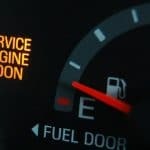 So, if you are asking yourself, “Why does my car fan keep running?”, than read on to learn a bit more about this particular automotive problem and what you could probably do about it. 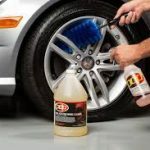 These helpful tips may even save you from expensive repairs later on down the road if this problem persists or is left unchecked. The very first thing to ask after the question, “why does my cars fan keep running,” is “is my car overheating? This is the first thing to check. Check the car’s temperature gauge to get an analysis. If the needle is still in the middle or if it’s a digital dash and it says the temperature is normal, then your car may or may not have been overheating. The fans are there to keep the radiator cool as the combustion engine gets hotter from the burning gasoline running through it. The friction from pistons moving also creates much heat. Your temperature needle will indicate overheating when this needle runs “high” or “hot” or when the digital dash gives a warning. Often, overheating can be fixed by adding coolant (if the coolant is low) or by changing the oil. A car lacking oil is not good. This can cause an engine to crack or blow. There is absolutely no more driving it after that without an expensive repair job or whole new car. Overheating is a common motor vehicle problem, actually. When some engine components are running when they should not be or when the engine is overworked (this happens frequently on very hot days as well), then these parts become stressed and can cause serious damage to the car’s engine. Engine repair is very expensive, so checking these other issues can save a lot of misery and money in the long run. One possible solution noted from other drivers that have had this similar issue in the past is that their radiator just needed to be flushed. Bugs, dirt and other materials can cause radiators to become blocked up, detracting from their performance. This results in too much heat and the fans run to keep the radiator cooled. If a radiator gets too hot, it can crack, which is very bad news for your car, so it is a good idea to check this option first. A radiator can often be flushed out with a regular garden hose from the reservoir in the radiator and out to the grill. You may be surprised to find how much gunk actually will come out of there. Never fun the vehicle buy crestor when doing this, however. When finished flushing the cooling system, fill the coolant back up within the radiator reservoir to prevent destruction of your radiator when you turn the ignition to run the car. See if the problem persists after taking this initial step. If it doesn’t solve the problem, then you probably have other issues at hand. It is possible that this problem of your car’s fans constantly running is some sort of mechanical or electrical error from a poor sensor or other component. There are temperature sensors and some cars have separate sensors for the gauge itself. Your car’s owner’s manual should be able to provide more information about the configuration of such sensors in your vehicle. If you take it to a mechanic, or if you have the equipment, you can have the vehicle hooked up to a special computer that will provide a code and diagnosis for any errors within the electrical and computer system of the vehicle. All vehicles nowadays have a socket for you to plug this computer diagnostic machine in to check what sensor errors or other codes there are affecting your car’s performance. Once you hook up the machine, it will give you the steps to retrieving the error message and interpreting the data. If you are unsure how to read the code, ask a qualified professional for help. Electrical fans are more common on front wheel drive (FWD) vehicles due to their conservative energy use. The fan can be shut off when the engine temperature warrants. Electrical systems and relays control this process. Electric fans also are programed to turn on when the air conditioning in a car is activated. Many cars, however, have a separate fan for this. Check your owner’s manual for your car’s make and model to see if it is configured in this way. Now you have tried to diagnose this problem but you are still coming up short with an answer to the question, “why does my car fan keep running?” Here is one other possible scenario. Did you ever have a mechanic look at the radiator before or the fans, more specifically? Did you buy the car used? 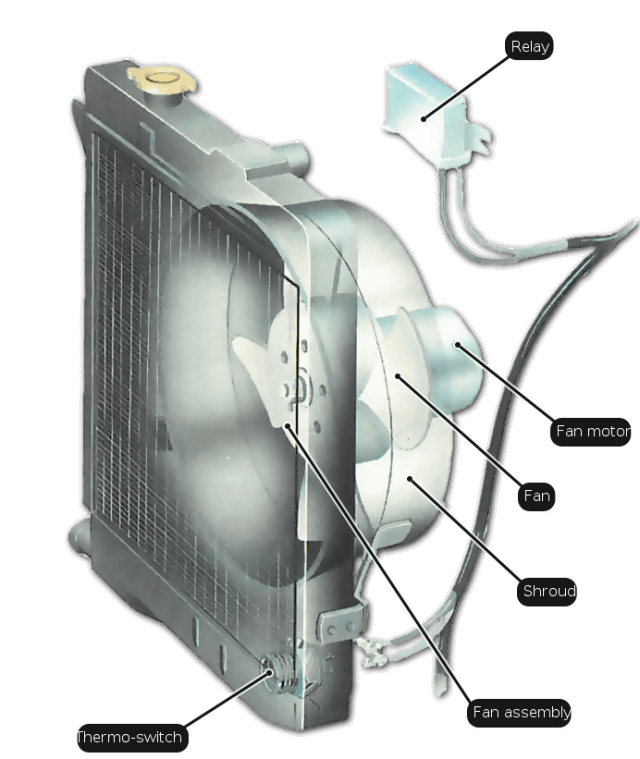 Many mechanics are not family with the circuitry involved in the various fan configurations and relays for the fans in a particular motor vehicle so they may have resorted to wiring the fan directly to the battery. This will keep the fan running constantly. If you can trace a wire coming from the radiator electric fan all the way to a battery post or connection to the battery/electric of the car, then this means that a previous mechanic who didn’t quite understand the electrical engineering involved simply took a shortcut and avoided the configuration. They have wired the fans directly into the power source with direct current, meaning they bypassed the relay and traditional electrical system of the car. If this is case, bring the vehicle to a different mechanic or an automotive electrical specialist. There are companies that do this specifically and that’s all they do.